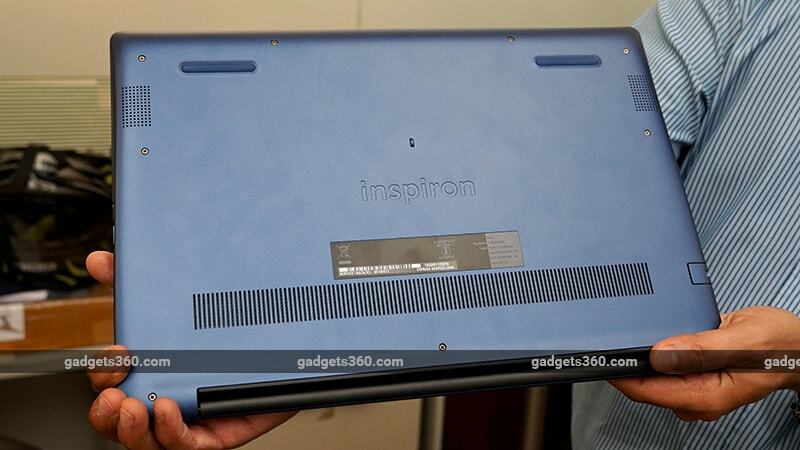 Dell's ‘Inspiron' branding has now become synonymous with budget and mainstream laptops. This series has come a long way from its initial days of basic low-cost plastic laptops to now, when you can opt for a convertible design and metal construction. The latest models even have modern design touches, similar to Dell's more expensive XPS line. Today, we'll be testing a model from Dell's Inspiron 15 5000 series, called the Inspiron 15 5580. Some of the highlights of this new series are the narrow display borders, a brushed aluminium design, and up-to-date specifications. It's also available in a cool shade of blue, which we think looks really nice. Prices start at Rs. 34,990 (without taxes) and the variant we're testing is priced at Rs. 51,990 (again, without taxes) at the time of writing this review, for which you get a good set of specifications. According to the listing, it also appears to be exclusively available through Dell's online store. Let's see if this model is worth considering. 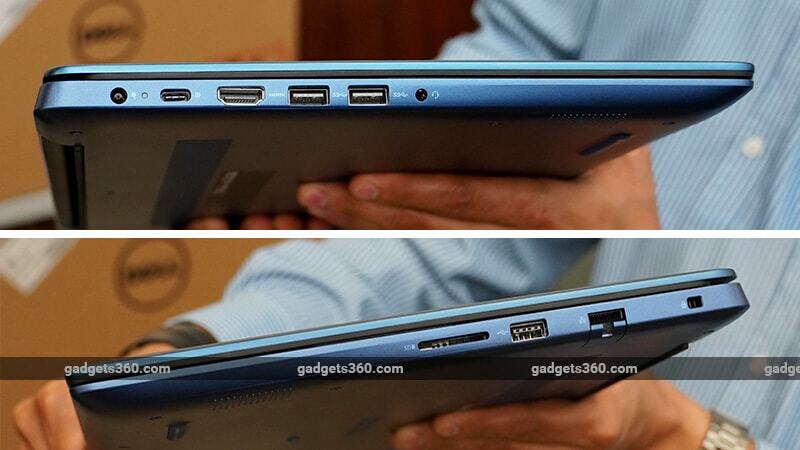 The Inspiron 15 5580 is slim with a thickness of around 18mm when closed. Build quality is very good. The base is constructed out of a single block of plastic while the lid and the palm-rest areas get metal coverings. The latter adds a fair amount of rigidity, especially for the lid, which doesn't have much flex. The single hinge offers good torsion and helps hide the exhaust vents. There are Platinum Silver and Ink colour trims, of which we have the latter. The Inspiron 15 5580 offers a good selection of physical ports, including two USB 3.1 and one USB 2.0 Type-A ports, a USB Type-C (USB 3.1 Gen1) port, Ethernet, HDMI 1.4a, a headphone, and microphone combo socket, an SD card slot, and the charging port. There's a single LED beside the power socket which lights up when the laptop is charging and blinks amber when the battery is low. The stereo speakers are placed on the bottom, on either side of the laptop, along with some more air vents. The 15.6-inch display has an anti-glare finish, so reflections aren't a big issue. It also has a full-HD resolution, which is expected at this price. You get narrow bezels on three of the four sides of the display, which makes the Inspiron 15 5580 look fairly modern. It's also an IPS display, which means colours are nicely saturated and viewing angles are decently wide., However, we could have used a bit more brightness. This display is adequate for use in, say, an office environment, but it can be tough to work with outdoors under direct sunlight. The keyboard area is spacious, with plenty of room for your hands to rest on comfortably. There's no flex here, which is good. The keys are well spaced and typing is comfortable. The key travel is a little short but the action isn't not noisy and we rarely had any typos typing at our regular pace. Our only gripe is that this keyboard isn't backlit, which is a shame. The Dell Inspiron 15 5580 is available with a choice of Intel 8th generation CPUs, ranging from a Core i3 to a Core i7. The model we have has a Core i5-8265U quad-core CPU with multithreading. There's also 4GB of DDR4 RAM, which is on the lower side considering the price, but you do get 16GB of Intel Optane Memory to speed things up. This acts as cache memory, which stores your frequently used files so you get a small performance boost in terms of responsiveness in programs, but it's no replacement for an actual SSD. This models also comes with a whopping 2TB of storage, which is great, but the 2.5-inch hard drive is of the slower 5400rpm variety. Graphics duty is handled by an Nvidia GeForce MX150 GPU with 2GB of GDDR5 memory. This configuration could have been good overall, but the 4GB of RAM makes it a little unbalanced. We would have loved a configuration with less storage and 8GB of RAM with the Optane Memory, but sadly that's not available in India at the time of this review. The Inspiron 15 5580 ships with Windows 10 Home 64-bit, along with some applications from Dell and third-party providers, including a 15-month subscription to McAfee Livesafe and a 30-day trial of Microsoft Office 365. 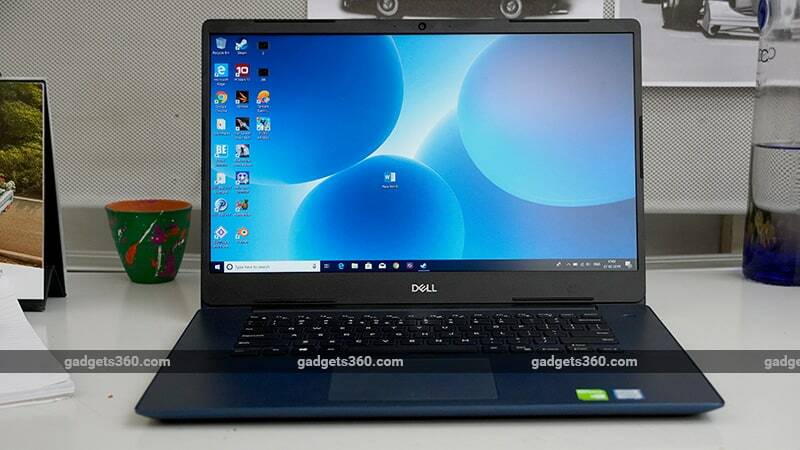 If you're buying this laptop online from Dell's India website, you can opt for a full version of Microsoft Office Home and Student 2019 in place of the cloud version, for no additional cost. No matter which way you configure your laptop, you get a standard set of Dell applications by default. Dell Update routinely runs a check on your drivers and updates them when necessary; Mobile Connect lets you pair an Android device or iPhone to your laptop to receive calls and messages; CinemaColor lets you change the colour profile of your display to suit the type of content you're watching; and Power Manager lets you monitor your battery's health. Despite having just 4GB of RAM, the Inspiron 15 5580 is surprisingly responsive thanks to the Intel Optane Memory. The experience isn't completely like having an SSD as we still felt there was intermittent stuttering every now and then when switching between apps or opening some Windows menus. Apps didn't load very quickly either, but once they were running loaded, things worked well. There appears to be one free RAM slot in this laptop, according to the CPUz app, so you could add another stick if needed. However, there's no easy-access hatch so the entire base will need to be removed. The GeForce MX150 GPU isn't powerful enough to handle heavier games at the display's native resolution. In Rise of The Tomb Raider, we got just 11fps with the graphics set to ‘Medium' at 1080p. To get playable framerates, we had to scale down the resolution and drop the graphics quality even further. Casual games from the Windows Store, such as Asphalt 9: Legends, ran fine. The Inspiron 15 5580 runs cool and quiet if you're simply browsing the Web or watching videos, but fire up a game and the exhaust fans become audible. It's not too distracting but it's noticeable. Speaking of videos, the display offers good colour reproduction for enjoying content, and the stereo speakers are not too bad. The sound can get loud without any noticeable distortion at high volume, and you can tweak it with the Waves MaxxAudioPro app. The prices on Dell's website keeps fluctuating. At the time of this review, the variant we tested is going for roughly Rs. 61,348 with taxes. The Acer Aspire 5 Slim A515-52G we tested is also available for roughly the same price, which also had very similar specifications with Optane Memory. With the option from Dell, you get a better keyboard and a more premium overall feel. However, battery life is the biggest let-down here. If this laptop is going to stay on your desk at all times then you probably wouldn't care as much, but otherwise, it might be a problem. product Dell Inspiron 15 5580 offers a very interesting configuration for the price. Can it be a good all-rounder? Read our Dell Inspiron 15 5580 review to find out.